Due to poor air quality, construction work halted in Gurugram from November 1-10! After the air quality in Gurugram reached a critical level for the first time this season, the district administration has reportedly issued directives for enforcing steps under the Graded Response Action Plan (GRAP). This has led to a halt on all construction work and operation of hot-mix plants and stone crushers in the city between November 1-10. As reported, the officials are getting prepared to carry out the directions of the Environment Pollution Control Board (EPCA). The concerned authorities have reportedly been briefed about the relevant measures that need execution. As reported, the ban is likely to not have impacts on large-scale infrastructure projects, such as construction of the Southern Peripheral Road, the Dwarka Expressway and widening of the Badshahpur drain, since work on these projects is currently not being carried out. However, the order will have an impact on real estate projects along the Golf Course Road, the Golf Course Extension Road and new sectors. The last time construction saw a red signal in the city was on June 15 -16, when air quality reached a severe level. Since Gurugram is still a city that is developing, construction work is gong on in several areas, particularly in the new sectors. For this reason, the city adds a lot to air pollution. 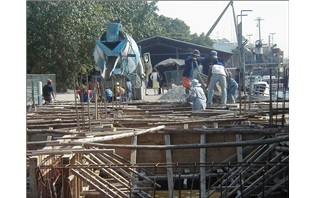 The last time construction was banned, work was still being carried out at many sites. The Haryana State Pollution Control Board (HSPCB) and the Municipal Corporation of Gurugram (MCG) will reportedly increase its efforts to monitor open waste burning and construction activities and also impose strict fines on the violators. As reported, real estate projects covering over 20,000 sq yard have to be checked by HSPCB officials, and smaller projects by MCG for disobeying anti-pollution rules.